The Solidarity Philanthropy Learning Circle works to radically expand connections between justice funders and movement groups who are stepping into field leadership around solidarity economy efforts. Instructor Peng Shuishen, from Shanghai, China, was tudi (disciple) to Xie Wenqiu who was tudi to Shun Shao Fu. 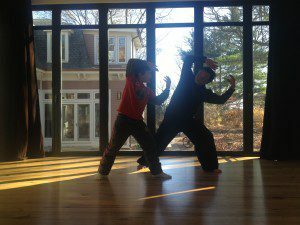 He hosts an open practice based on Xin Yi, Tai Chi, Qi Gong and other Chinese martial arts from 8-10 AM on Sundays. The Massachusetts Climate Action Network works with and advocates for Massachusetts cities and towns to be the best in the nation in addressing climate change. The board is excited to meet at this “living building” to discuss the next year in local climate action and our organization’s strategic plan. BMen is an inclusive (straight, queer, trans) organization of black men working to build relationships with other black men within our community. this is an open call/invitation to any queer men or queer male-bodied folx who are in the journey of unpacking toxic masculinity & seeking ways to connect with their emotional & spiritual selves. Join us for Jamaica Plain’s first-ever Green Living Tour, and learn what your neighbors are doing to transition to a green, clean-energy future! The tour, sponsored by Mothers Out Front-JP, will showcase a range of different green features at a dozen or so homes and businesses – including air source heat pumps and geothermal systems for heating/cooling, solar panels, induction stoves, electric cars and bikes, backyard chickens and beekeeping, and composting options. Resist and the Center for Economic Democracy are hosting an initial gathering to explore the creation of a regional back end hub or mutual movement coop. We will do some initial relationship building, visioning, and lay out a loose timeline and plan moving forward. The HIV Team at Boston Healthcare for the Homeless Program provides multidisciplinary care for 300 people each year who live with HIV/AIDS and also experience homelessness in the Greater Boston Area. 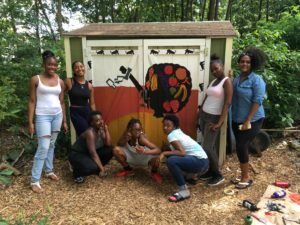 As an approach to improving community health, the Southern Jamaica Plain Health Center works with a group of 16 youth (8 white youth and 8 youth of color) in a racial reconciliation and healing process. 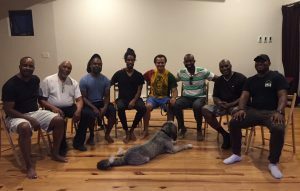 Body as Power is a workshop to help participants move from the body as a problem to the body as a source of power. Together, we compassionately explore the stories we hold about our bodies and then create and practice new ones. Over three weeks, we will explore the world of our bodies using theater, contemplative practices, and body awareness practices. The Solidarity Economy Initiative is a community of Boston-area activists are seeking to build power and evolve strategies towards a long-term social movement capable of transforming American capitalism into a next, more enlightened economy. Neighborhood Birth Center aims to be Boston’s first independent and freestanding birthing center – a warm, inviting space, led by midwives, providing holistic pregnancy care, labor and birth support and postpartum care. Sisters Unchained is a summer initiative for young women of color with loved ones currently and formerly behind bars. Our program seeks to create a radical and loving space for affirmation, healing, political education and the realization of our collective power to build up our communities.